United Overseas Bank (UOB) Bhd is a subsidiary of United Overseas Bank Group, Singapore and has had its presence in Malaysia since 1951. Today, UOB Malaysia operates in 43 located branches throughout Malaysia, making it the foreign bank with the largest branch network. We are seeking passionate, dynamic, self motivated individuals who are driven towards performance excellence. As a leading bank in Asia-Pacific, we offer you challenges and opportunities to meet your career aspirations. At UOB, we are dedicated to making a big impression in the region. As a team, we know we will make a difference and shape Asia's future. Join us as we make our mark in Asia. - You will be responsible in providing support and enhancing relationship to ensure customers’ optimum utilization of banking facilities accordance with the bank's prescribed standards and regulatory requirements. - Responsibilities include credit evaluation and establishing/maintaining account relationships with both existing and prospective customers. - Contribute to the profitability and growth of the branch by developing and maintaining customer relationships utilizing the full spectrum of banking products and services. 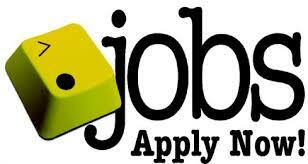 - Minimum 2 years working experience in business-to-consumer sales with proven track record. Sales experience in Banking Retail Products preferably in mortgage sales will be an added advantage. - Experience and exposure in credit marketing is preferred and will be an added advantage. - Wide network of SME business contacts and posses good business acumen. - Excellent listening, oral and written communication skills. - You will be responsible for sales and marketing of a wide spectrum of banking facilities meet the financial and investment needs of small and medium-size enterprises. - We offer competitive starting salary, performance-based bonuses and other attractive benefits. Performers can expect good personal development and career advancement prospects. - Bumiputeras are encouraged to apply. - Only shortlisted candidates will be notified.